Looking for some healthy options? It’s easier than you might think! 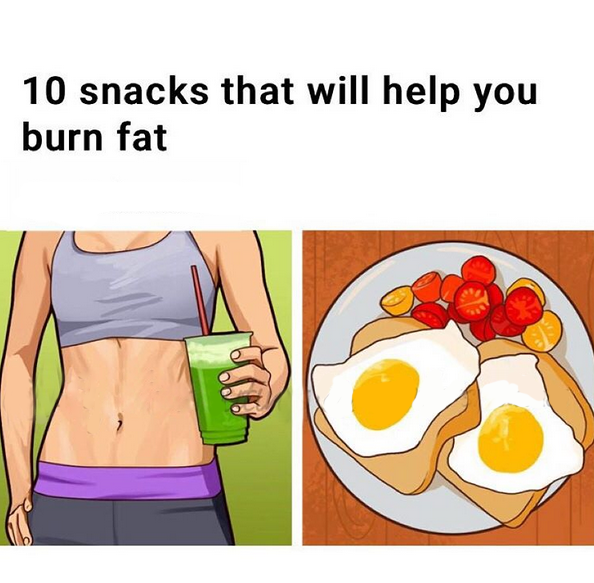 Read on to see 10 foods that not only taste great, but can also help you shed pounds . Watermelon is a delicious summer treat that not only stimulates the taste buds, but also boosts your metabolism. It is recommended to eat a cup per day to help your body burn fat. If you prefer, you could even include it (and other fruit!) in a delicious smoothie. For those that prefer to drink their snack, the recipe includes soy protein powder, Greek yogurt, frozen berries, and honey. This blended treat is only 139 calories. Not only will figs help you eat less, but also hep you burn the fat. Opt for this nutritious treat next time you have a craving. The great news is that eating lentils makes up 35% of your daily required intake of iron. Eating this will ensure that you are well on your way to having balanced nutrients in your body and a well-functioning metabolism to help you burn calories. One cup of edamame is a simple snack that is full of fiber and protein, but only 189 calories. Many people struggle with overeating and eating out of boredom. A handful of pistachios not only curbs hunger, but has protein, healthy fats and fiber that can fuel the body. Eggs are full of vitamins and nutrients that keep your body strong and active. Boil and enjoy this low-calorie snack. Many people enjoy the salty goodness of popcorn you should also sprinkle nutritional yeast on top for a dose of the vitamin B12. This nutrient actually works to boost the metabolism. canned tuna and crackers are a good source of protein and Omega-3. You can indulge on 3 ounces of tuna and 6 whole wheat crackers for your next quick snack. Peanut butter is a great source of protein and healthy fat.